Baby food doesn’t have to be boring for your little one…spice it up! My son loved trying new foods and last summer I experimented with all new flavors from the farmers market to tempt his taste buds. 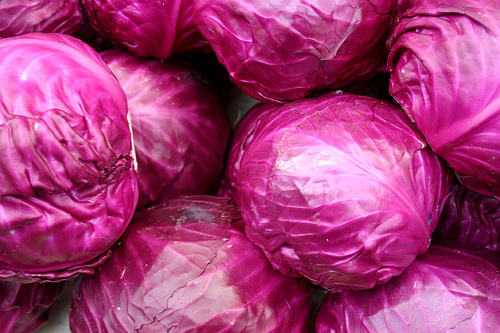 One recipe that I found to be very simple and delicious (yes, I tasted every food I made for him) was a red cabbage medley that included the sweetness of golden raisins. This recipe is a snap to whip up and I hope your little one enjoys it as much as my son. Place all ingredients in a pan and boil for 10 minutes and then puree. This can be a little something I need to do more research into, appreciation for the post.